For anyone who loves makeup but hates the idea of caking on foundation, I feel your pain. Often times the beauty world just assumes those who adore mascara, lipstick, and blush also cherish foundation. However, for many of us the opposite is actually true. Yes, I desire pristine, canvas-like skin, but thanks to a combination of oily and dry skin, using foundation is really my least favorite way of accomplishing that. In fact, when my skin behaves, I actually prefer the more natural look. 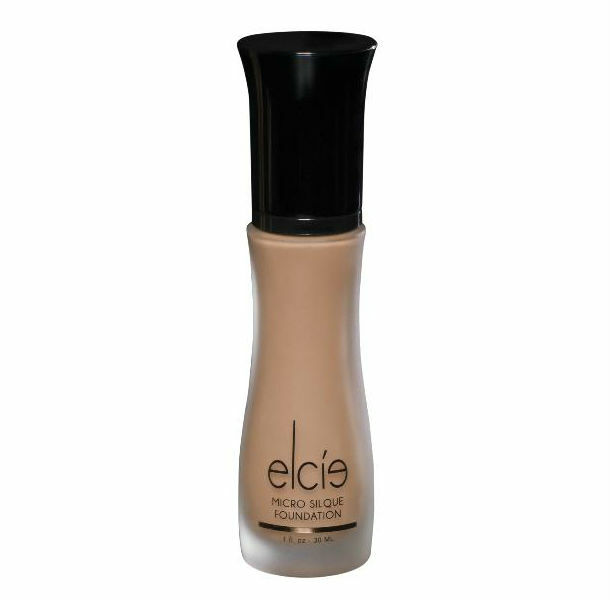 But for those times when a little coverup is essential, enter Elcie Cosmetics Micro Silque Liquid Foundation ($45, elcie-cosmetics-myshopify.com), the anti-foundation girl’s guide to foundation. I must admit I was a little skeptical when the new liquid foundation landed on my desk. After all it’s created by Lilit Caradanian—more commonly known as @MakeupByLilit to the beauty world—an LA makeup artist who adores foundation and wears it better than anyone I’ve ever seen. But when a black tie wedding had me in a panic to make my face photo-ready, I decided foundation was a must. From the first swipe of the Micro Silque Foundation, I felt myself liking foundation more and more. Although this particular liquid formula is extremely lightweight, a small amount on the beauty sponge goes a long way. (Think two maybe three pumps, max.) The coverage is clean, smooth, and gives an air-brushed matte finish without looking cakey, flakey, or worse, fake. The velvety texture blends flawlessly over red, discolored patches and hides blemishes like the best concealer. You can also apply all over for a veil-like finish or use as a spot treatment. With safflower oil as a primary ingredient, the product glazes over skin to conceal and cover. And it’s actually good for you. Infused with vitamins A, C, and E and white and green tea extracts, the Micro Silque is hydrating and makes skin feel nourished throughout. And I know what you’re thinking… What about those with oily skin? Nope, not an issue. The formula is so delicate and lightweight it doesn’t get oily or shiny. In fact, it actually stays matte all throughout wearing. As if that wasn’t enough, it’s completely buildable, making this an ideal solution for foundation newbies like me and those who adore Kardashian perfection. In less than five minutes of my first use, my entire face looked as if I had a preset Instagram filter applied. I might not be a total foundation convert—some habits just die hard—but for those times when a clean canvas is a must, this foundation scaredy cat has met her match.